Gwen (or Guinevere, as her Aunt Matilda often addresses her) enjoys everything to the full. Too bad she has to learn boring things like curtseying and looking after her elders - she'd far rather do exciting things like the boys do, although she is at least able to learn to ride. Elsewhere, things are not going well; the evil sorceress Morgana Le Fay is trying to take over Avalon and is determined that nothing stop her. Just in time Nineve steps in with a desperate hope that a mortal (as written in a prophecy) will find her pendant, rescue Avalon and so on... It won't take too much guess work on the part of the reader that Gwen is the one to do it all, aided by her best friend and cousin Flora. 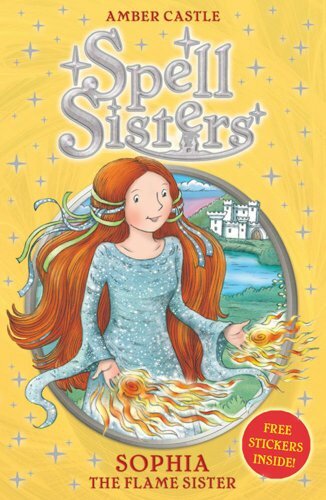 In Sophia the Flame Sister Gwen and Flora must rescue Sophia who is hidden in an enchanted forest. They have to use all their wits to find Sophia, and it is not easy when Morgana's evil birds attack them. However, they do succeed as they have not only Nineve's pendant but also a host of other things – not least of all a very special horse, Moonlight, to help them. 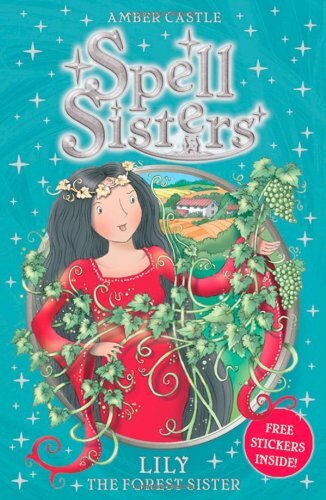 In Lily the Forest Sister the girls have to travel to a deserted farmhouse surrounded by an enchanted vineyard where they hope to find Lily - but how will they know what Lily has been transformed into? Of course they work things out, and rescue Lily, but not before they have done battle with the vineyard and a flock of hornets. Both these books will keep readers turning pages to see what happens next - and information about living in those times is an added bonus to these well told stories. Stickers and puzzles at the back of the books add to their appeal.